YU to Host Alex Clare and Yehuda! 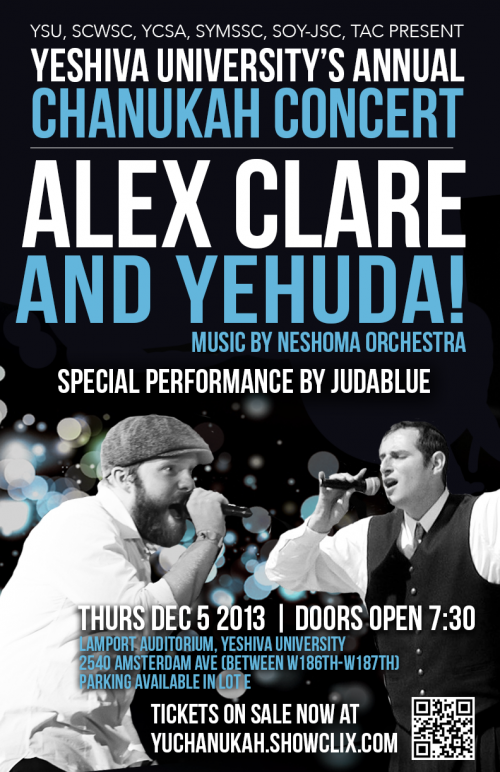 Yeshiva University‘s Annual Chanukah Concert Featuring Alex Clare & Yehuda! Lamport Auditorium, Yeshiva University | 2540 Amsterdam Ave.